Easy peel & stick targets made with ultra bright adhesive paper. 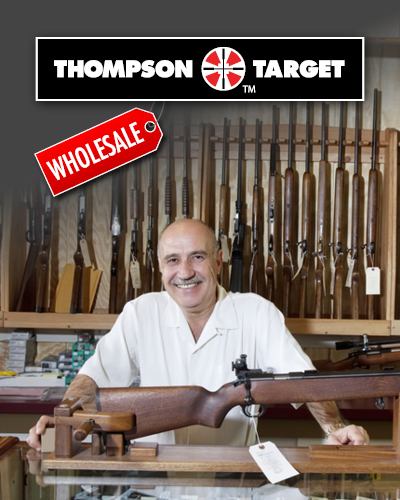 Thompson Target self-adhesive peel and stick shooting targets are made with ultra bright paper and convenient adhesive backing. Why bother with tape and clips when placing your target is as easy as peel and stick? 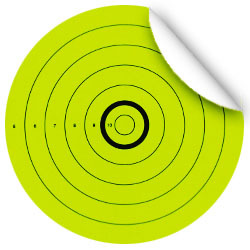 Ultra bright fluorescent paper allows you to easily see your sights and hits with a variety of colorful neon adhesive shooting targets for pistols and rifles. Pasters are also available in a range of sizes providing multiple aim points and extend the life of your targets. Stick-Um-UpTM series adhesive targets are packaged in a convenient re-close clam shell container to keep the targets protected over many trips to the shooting range.